The Sophia Lang-Assael Assistive Technology Center opened in the spring of 2013 and gave the Kildonan community a place to advance our application Assistive Technology. The term Assistive Technology takes on different meanings depending on the audience. For some, AT takes a physical form as glasses, pencil grips, or powered wheelchairs. Other forms of AT include technological supports such as text readers, voice recognition, and dictation software. Regardless of the form, the goal of AT as outlined in the Individuals with Disabilities Education Act (2004) is the same: Assistive technology also known as AT, is defined as any item, piece of equipment, or product system, whether acquired commercially, off the shelf, modified or customized, that is used to increase, maintain, or improve the functional capabilities of a child with a disability. At Kildonan, all students take part in the Digital Literacy Assessment and are assigned strategic learning based on their developmental needs. The assistive technology department works in tandem with the language training department through the four-tiered AT program. During Phase 1 students are assessed on basic computing skills including Google Apps, formatting, speech to text, dictation, and typing skills. Phase 2 focuses on exposing students to a variety of writing and reading tools to support their acquisition and exploration of content and ideas that may be out of reach if the student was unsupported. Phase 3 of the AT program focuses on research tools. Phase 4 involves independent technologies like computer programming, learning software programs, virtual worlds, and MOOCs (Massive Open Online Courses) are just a few areas that students can explore when they ready to dive deeper into the possibilities of learning with and about technology. All students at Kildonan get access to databases, journals, and texts through the New York Public Library system. Their NY Public Library card also gives students access to 300,000 e-books that can be downloaded and read in conjunction with annotation and bookmarking software like Diigo. Diigo enables students to create a digital bookmark library. Elementary students: Will use iPads kept on a dedicated cart and traveling iPads. Devices are owned by Kildonan. Grades 6-12, PG: Students in grades 6-12 will use individual laptops / Chromebooks. Apple or other products compatible with the Chrome (desktop) web browser are required for support and recommended for full compatibility. Families must purchase the device for their child’s use. 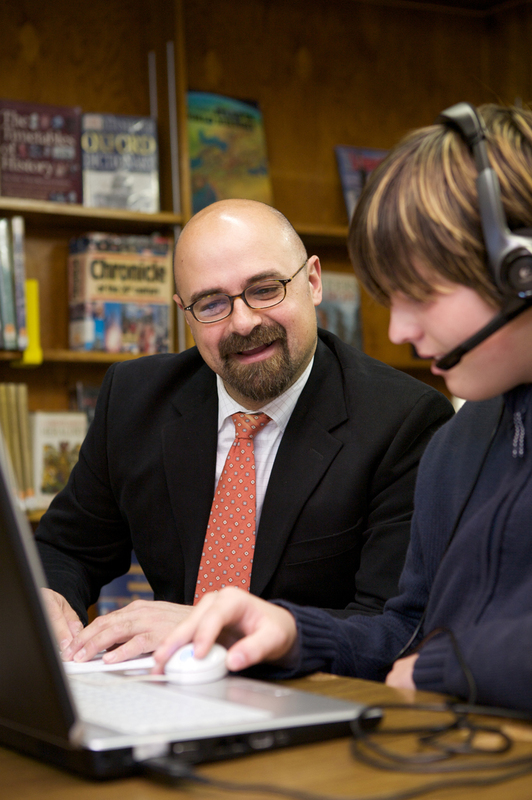 Educational Objective: Every student will have one-to-one access to a wireless device for all academic classes. The devices used in each grade span will shift from iPads kept on a dedicated cart, to traveling iPads, to laptops / Chromebooks. As academic demands increase through the grades, students need to transition to a laptop with keyboard form factor. Kildonan is a G Suite for Education school. As such, any device capable of satisfactorily running the Chrome Web Browser will be compatible with the full range of Google Apps. Repair of Student-owned Devices: Families are responsible for the repair of all student-owned devices and Chromebooks / iPads obtained from Kildonan.